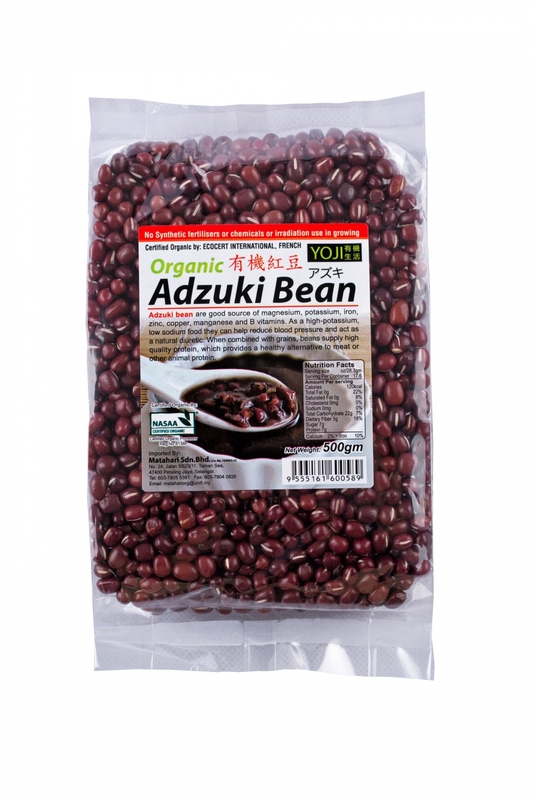 Adzuki bean is a tiny, reddish-brown bean with a cream coloured seam and sweet, nutty flavour. It is particularly popular in Asian cooking, most often used for sweet dishes including soups, desserts and as a dim sum filling. Adzuki beans are regarded as the king of beans in Japan and are prized for their health-giving properties: reputedly benefiting the liver and the kidneys. In Japan and China, adzuki beans are often cooked, puréed and mixed with sugar to make a chocolately paste which is used to fill cakes and desserts. Adzuki beans have a high fiber content which greatly improves bowel movement. Due to high concentration of soluble fiber in adzuki beans, these beans are ideal for stabilizing the cholesterol level. Loaded with iron - an integral component of hemoglobin and is also part of key enzyme systems for energy production and metabolism.